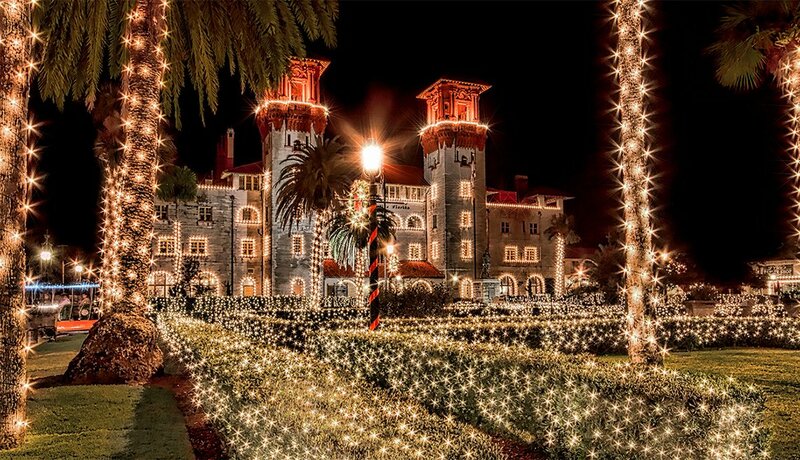 Best Holiday Light Displays Across the U.S.
En español | From bright festive bulbs to decorated palm trees and Christmas music, an evening walk through the streets of St. Augustine’s historic district during the holiday season's Nights of Lights is bound to put a smile on your face. Three million lights adorn every corner. Businesses stay open late, so there are plenty of places to stop in as you stroll past the illuminated buildings. 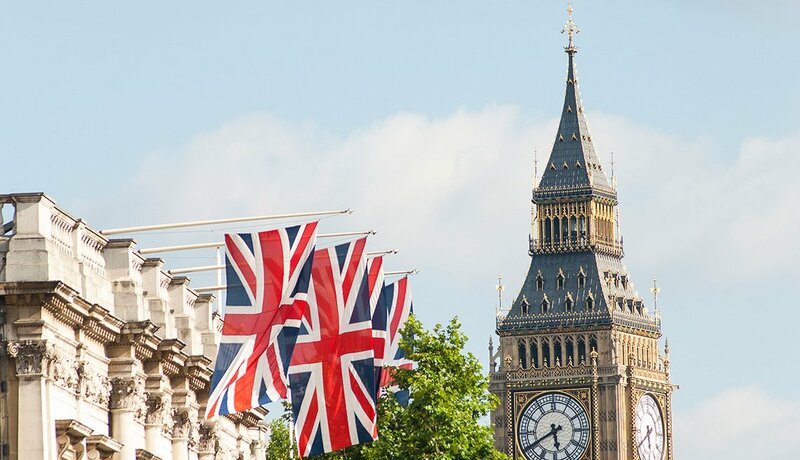 There is no cost to enter, and free parking and shuttles are available on the busiest nights. 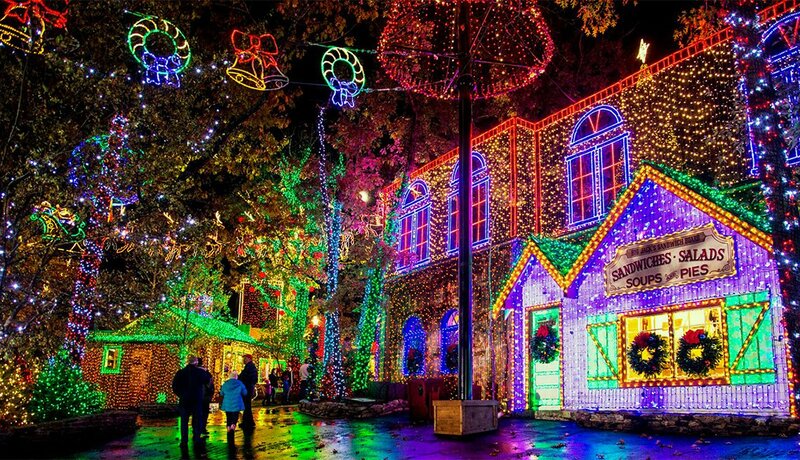 With 8 million lights, Busch Gardens Williamsburg's Christmas Town says it’s the biggest Christmas light display in North America. 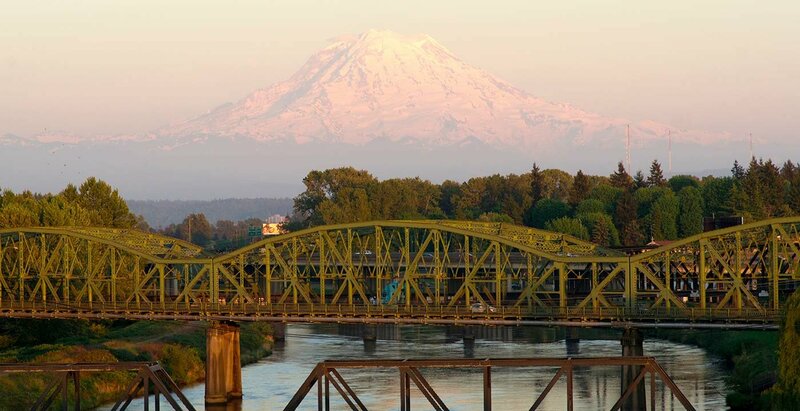 From Rudolph’s Winter Wonderland to some amusement park rides that are still open, there’s fun all around when you buy the single-day ticket. While you are there, you also can visit Colonial Williamsburg, where special holiday events are planned all month. 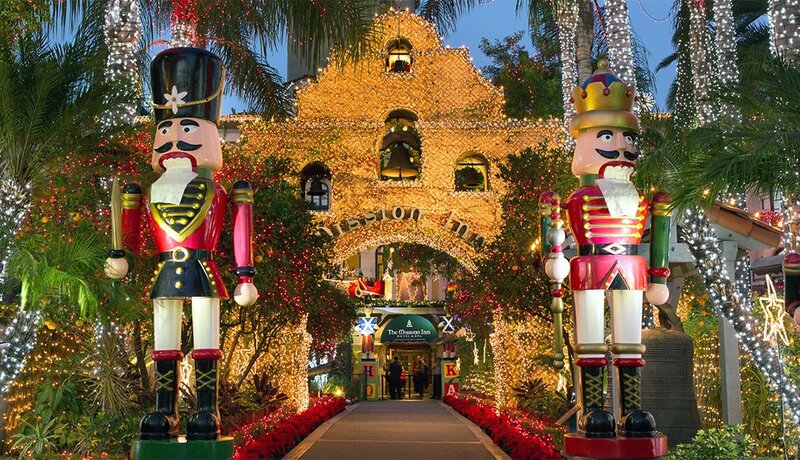 Get into the holiday spirit at Festival of Lights, where the Mission Inn Hotel & Spa puts on a free holiday extravaganza with 200 animated figures and 5 million lights dangling from the historic Riverside destination. If you make it here, don’t forget to step under the mistletoe — it’s the largest handmade one in the world! 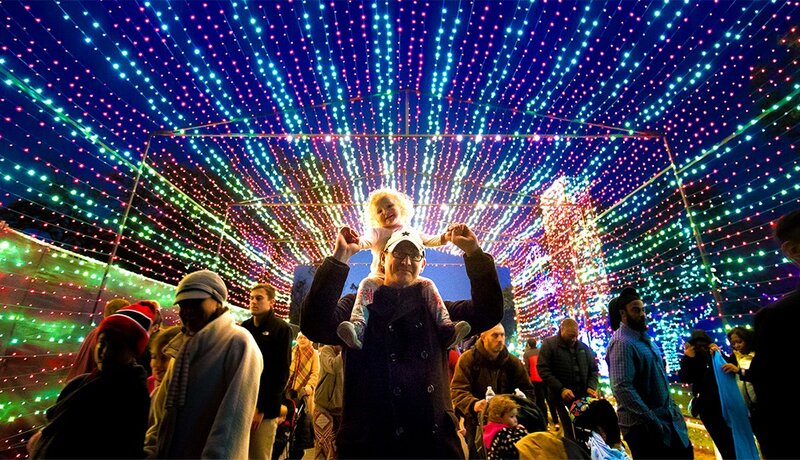 With 2 million lights and 40 displays, Trail of Lights in Austin has come a long way since it began as a small gathering known as Yule Fest in 1965. The three-week family-oriented spectacular includes Christmas music, holiday food and many colorful bulbs. Entrance to the holiday lights varies from free to a few dollars. You also are encouraged to bring a can of food to help feed the hungry. 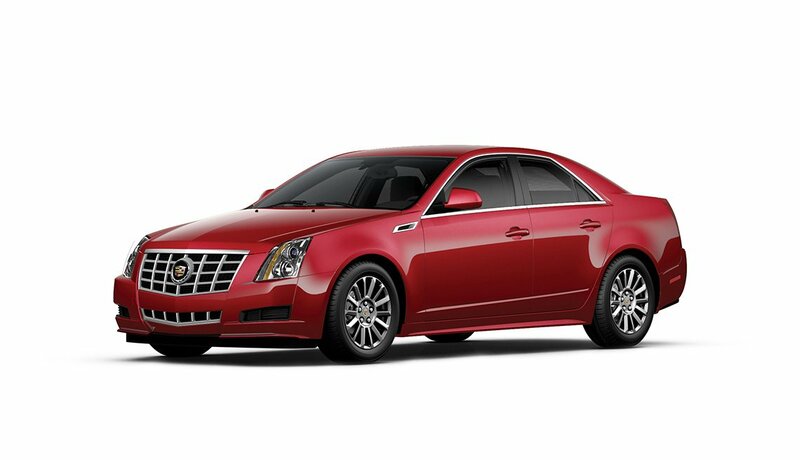 If you’re visiting New York City to see the Rockefeller Christmas tree, we have a second treat for you. Just about 15 miles south of Times Square is a residential neighborhood in Brooklyn, Dyker Heights. These neighbors know how to put on a Christmas show — some maybe go a little overboard — with inflatable Santas and lights covering nearly every part of the house. You be the judge if you visit! 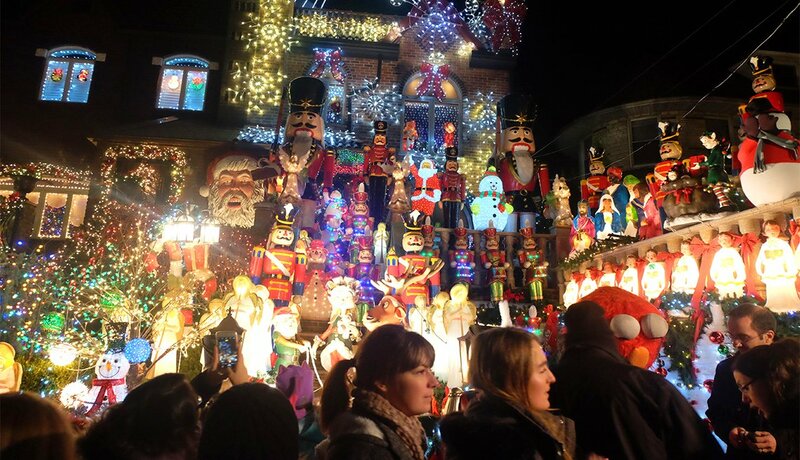 Described as one of most outrageous Christmas lighting displays in the United States, Miracle of 34th Street in Hampden is like nothing you’ve ever seen. The entire neighborhood takes part, making their rowhouses look like a winter wonderland. 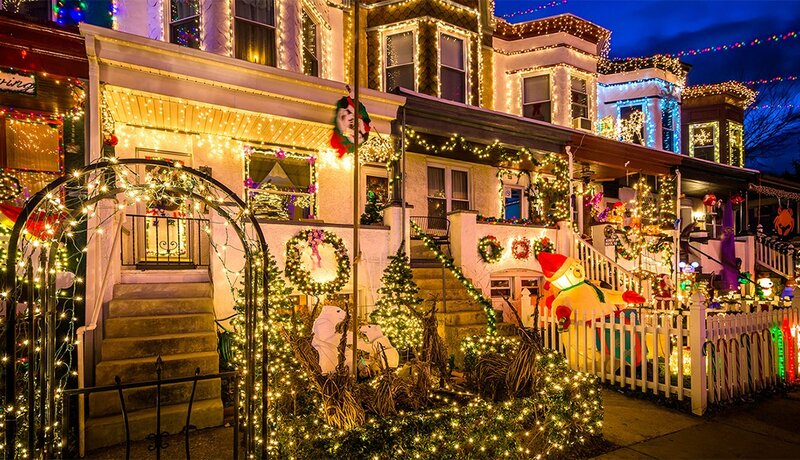 While you can drive down the 700 block of West 34th Street, it’s best to walk — so you can take a close (and free) look at the unique decorations. What do 6.5 million lights look like? Well, stop by the Silver Dollar City theme park and you’ll see. 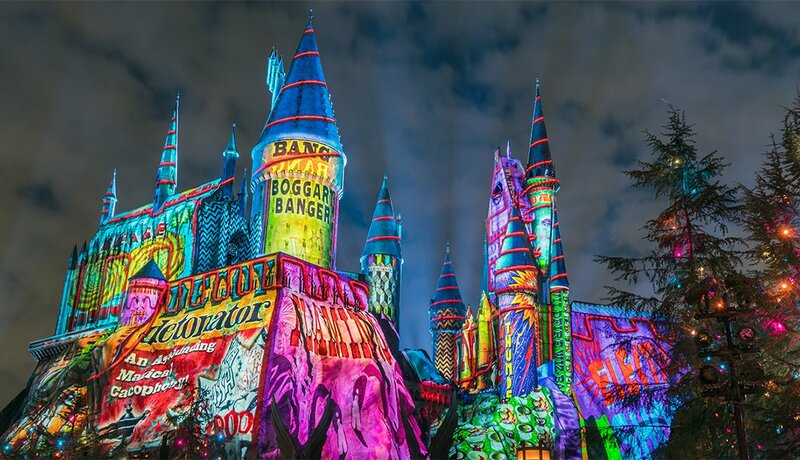 While the light show is the main attraction during the holidays, it’s part of the bigger park package that also includes two Broadway-style productions, rides, a parade and much more. You must pay full-park general admission to see the lights. You’ve probably seen pictures of holiday time at Walt Disney World and Universal Orlando, but in person they are truly magical. 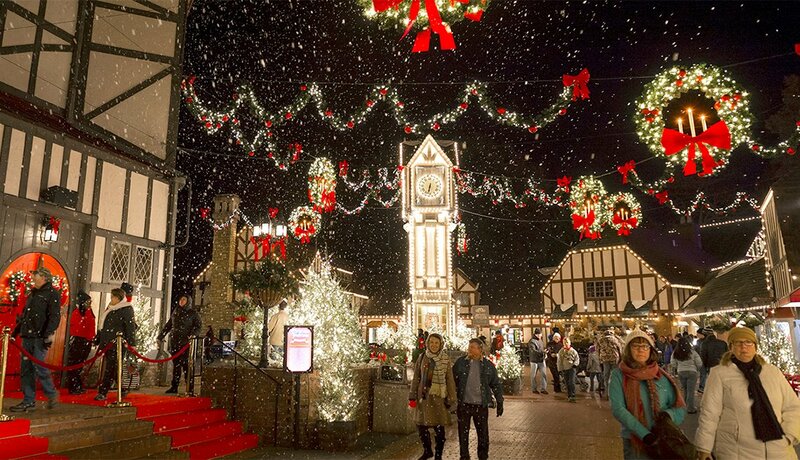 The resorts transform their parks and hotels into winter wonderlands. You’ll lose track of the number of Christmas trees you’ll see. If you don’t want to pay for admission to parks, there are several other holiday-themed events across the city. If the lights along the Las Vegas strip aren’t enough for you, go check out the Las Vegas Motor Speedway. You can drive through the 2.5-mile course and see 400 animated displays, or hop on the open-air Santa Tram. You also will get the chance to visit with St. Nick. There is an admission fee for the lights, but they do sell a pass that covers everyone in your car. Chocolate is one of the many sweets associated with the holiday season, and that makes it a perfect time to visit chocolate-manufacturer Hershey. Outside its headquarters in Pennsylvania, the company has created a two-mile, drive-through holiday lights spectacle. 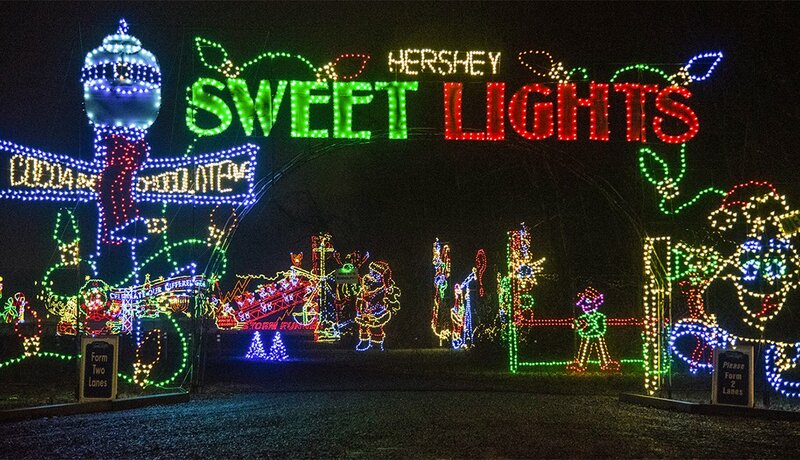 You’ll get to see nearly 600 illuminated, animated displays — and get some chocolate, too! While there is a cost per person, children under 2 are free.